Some of you will have seen that the Chronicle of Higher Education recently fired one of their blogging staff because she “did not meet The Chronicle’s basic editorial standards for reporting and fairness in opinion articles”. You can find the story in a number of places, and there’s a reasonable summary here, but, despite people trying to turn this into a debate on “left-wing victimisation clap trap” versus “freedom of speech” versus any number of the quite offensive straw men that were put up in the original blog, Naomi Schaefer Riley committed the cardinal sin. She published work that made a claim which could not be substantiated by the references. The title of her blog was “The Most Persuasive Case for Eliminating Black Studies? Just Read the Dissertations.” but, as it turned out, she hadn’t. The dissertations weren’t available to read so she wrote a scathing, dismissive and quite unpleasant article on incomplete knowledge. Then, when called on it, she claimed that she didn’t need to read them to write a 500 word blog post. Regardless of everything else in the post, regardless of who is right, this is just not acceptable. Had she started from a position of assessing the abstracts, drawing a long bow and then saying “But, of course, we have to see the dissertations”, I suspect she’d still have her job. Journalists do this all the time. However, like scientists, there comes a point where you have to be able to pick up the grain of truth that you’re standing on and point to it. If it turns out that you’ve, effectively, made something up or, worse, misrepresented what you’ve read, then that’s unacceptable and in this case, quite rightly, the Chronicle asked her to go. Years ago, when I was a junior PhD student, I needed to look up a paper that is seminal in our field “On the Translation of Languages from Left to Right” by Knuth. It is a cracker of a paper. Concise, accurate, well-written and easy to understand. I went to get it from the library, because it wasn’t on the Internet back then (*gasp*), and discovered that the volume that held it was stored in the joint store – a warehouse with a long delay for retrieving works. No matter, I arranged for it to be pulled and discovered that I was the first person in many years to grab that volume. So what people been using? Their own photocopies? Other sources? As it turns out, most people were citing a paper that cited Knuth. A survey paper, which I won’t name and that’s good camouflage because there are at least 712 other papers that cite this paper, that pulled together some other key papers and people referred to it as the resource. That, in itself, isn’t a problem. The problem occurs when you read the survey paper and then place a citation reference to the original paper. Of course, you know that I discovered that people had done this. How? The survey paper, to avoid plagiarising Knuth, had rephrased one of the clear and concise explanations – and they had introduced a distinctive way of representing the problem. (I still found the original much clearer.) It got to the stage that I could tell who had read the original or the survey from which twist they had in their framing paragraph for a key point, without having to spend time looking at the references. Why had people done this? 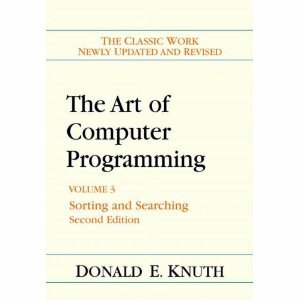 Because Knuth wasn’t readily available. Being in a 1965 publication meant that many libraries had shunted these ‘old books’ to stores as newer volumes came in and it required a week or two to get it back, sometimes longer. Sometimes these volumes were lost forever. (These days, I’m happy to say, there are many on-line sources for this paper. So there’s no excuse, if you’re in CS, you go off now and read yourself some Knuth.) The survey paper was easy to find and was pretty well written. It was just unfortunate that a wrinkle had crept in that allowed us to tell Knuth from Knuth-prime. It’s still no excuse. It’s a pretty basic rule for us – if you’ve only read the abstract, you haven’t read the paper. If you haven’t read the paper, you can’t cite the paper. If you’ve read a survey, then you can cite the survey but not one of the surveyed papers. But, categorically and set in stone, if you haven’t read the paper then you can’t criticise the paper. Personally, I think that Naomi Schaefer Riley’s article was pretty badly written, unnecessarily vicious and was the kind of article I’d describe as “written by the food critic before they entered the restaurant”. But that’s only my opinion of the worth of the article. For that, should she lose her job? No, of course not – we differ, that’s life. But for writing an article that insinuated in the text, and stated in the heading, that she had read something, upon which she based a vitriolic criticism, which she then recanted, claiming she didn’t have enough time? I could lose my job for that. I could even lose my PhD for that. My Vice Chancellor could lose his job for that. It’s a bit of a shame that it took some community nudging for the Chronicle to do something here, but I think they did the right thing. If you want to write about our world and our standards, then I think you pretty much have to exemplify them yourselves. It’s all about authenticity. Fairness. Ethics. Something that I hope Naomi Schaefer Riley can think about and learn from. I hope she’s had a chance to think about this and go forward constructively from it sometime in the future. Maybe no-one has every called her on it before? Either way, the next time she shows up, I’ll happily read what she’s written – but I will be checking her references. This reminds me of the practice of the ‘anonymous citation’: mysterious entries that appear in a bibliography without any reference in the body of the text. It’s not plagiarism, and it’s not malattribution, but it is at best sloppy practice and at worst dishonest reference padding.